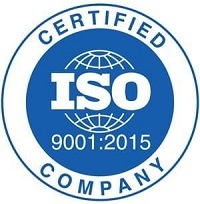 Last year, Mark Burchell, president of the international division, made the strategic decision to upgrade its ISO 9001:2008 Quality Management System certification to the latest ISO 2015 standards to get ahead of the September 2018 deadline. Certified organizations were allowed three years to complete the transformation to the new standards, however, due to Suddath’s laser focus on driving additional customer-focused technology innovation in 2018, the decision was made to complete the transition in advance. “Led by Daniel Lawrence, senior director of business process, the quality team spent the last quarter of 2017 providing organizational guidance in relation to the requirements. After an extensive review of our quality management systems, our third-party auditors at The British Standards Institution (BSI) concluded that our management systems met all the updated requirements and certified our organization to the new ISO 9001:2015,” said Burchell. Major changes to the ISO standards were made to take into account different challenges that businesses now face. For example, “increased globalization has changed the way we do business and organizations often operate more complex supply chains, which means there are increased expectations from customers,” said Lawrence. Leadership and management commitment are also major areas of increased focus in the new ISO standards. “The ISO certification helps ensure accountability at all levels of the organization. Our move from ISO 9001:2008 to the updated standard demonstrates our desire to always perform at the highest levels of quality and efficiency. It’s essential to delivering innovative, high quality and customer-focused relocation solutions to our customers,” Burchell stated.